In order to build great tennis courts, you have to start at the bottom with an understanding of soil conditions and converting it to a good base. Laser-controlled road graders enable Century Tennis to build with accuracy. Building Post-Tensioned Concrete, instead of the old asphalt type courts, are proving to be a great alternative for “crack-free” tennis courts. 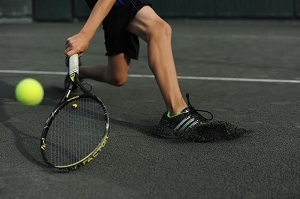 Whether it is a hard court with the softness of Deco-Turf or Classic Turf Rubber or whether it is a soft court like Har-Tru or Hydro Court, or a surface that offers a little of both like Nova Synthetic Turfs … Century Tennis can deliver. Gold Coast Tennis has been trusted for more than 35 years by Long Island’s top clubs and hundreds of homeowners to design, build and maintain tennis and sport courts. Gold Coast’s in-house team of experienced and knowledgeable tradesmen use only the best quality materials and have the ability to address any situation to ensure your court is ready for you to play at your highest level. 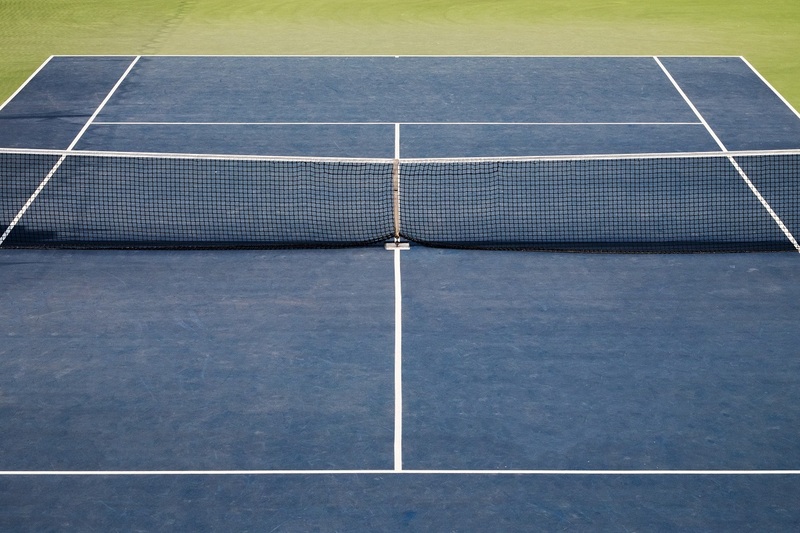 Gold Coast Tennis is a specialist and expert in both clay and asphalt courts, including Har-Tru, Deco Systems, and Douglas sports equipment for multi-use courts. Gold Coast provides annual Har-Tru reconditioning, as well as weekly/bi-weekly/monthly court servicing. All weather court repair incorporates the use of Rite-Way crack repair system. 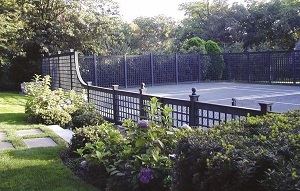 In addition to building and maintaining the court surfaces, Gold Coast Tennis designs and builds the entire court environment including fencing, irrigation, lighting, panting, masonry and seating furniture. Gold Coast’s approach ensures that your tennis or sport court enhances the appearance of your home and fits with your outdoor living lifestyle. Har-Tru LLC is a global tennis company based in Charlottesville, Va. It is the world’s leading provider of court surfaces, court consultation, court equipment and accessories. The company strives to help others build and maintain the best courts in the world, leveraging its products, knowledge, and experience to most effectively meet the needs of each customer. Har-Tru stays active in the in the industry as an advocate for the sport and sponsor of tennis-related activities. Lux-Craft Inc. is a leader in LED lighting manufacturer for indoor and outdoor sports facilities. Located in Hicksville, N.Y., Lux-Craft Inc. is dedicated to the latest technological advances, resulting in the most advanced LED solutions for the sports industry. Lux Craft’s third-generation 540-watt fixture outperforms all other competitors. In 2016, the company introduced highly advanced outdoor fixtures. The indirect nature of the outdoor model reduces glare and improves playability like no other fixture on the market. Lux-Craft is continuously working to make improvements and advances in LED lighting technology. The company is determined to manufacture high-quality luminaires for sports facilities. 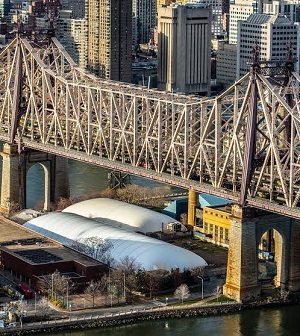 All assembly and testing is done locally in New York, and with a five-year standard guarantee, Lux Craft is confident that they can vastly improve the lighting systems at tennis clubs. All of that, combined with substantial energy savings, is guaranteeing that we are going to see more LED technology in the future of the tennis industry. Local clubs have greatly benefited by converting to LED lighting, and the ability to have relationships with a local manufacturer provides confidence and convenience as a major decision factor. For more information, call (718) 934-3600 or visit LuxCrafters.com. As a manufacturer, supplier, installer and service provider of air-supported structures, The Farley Group works with you from conception to implementation and beyond. The company’s philosophy is built around the belief that a customer never leaves The Farley Group—from project planning and installation to ongoing service and maintenance—we become a trusted member of your team. The company’s expert staff of sales consultants, designers and highly-skilled production and service professionals are well-experienced in all facets of air structure technology, ready to help you through every phase of your tennis bubble project.